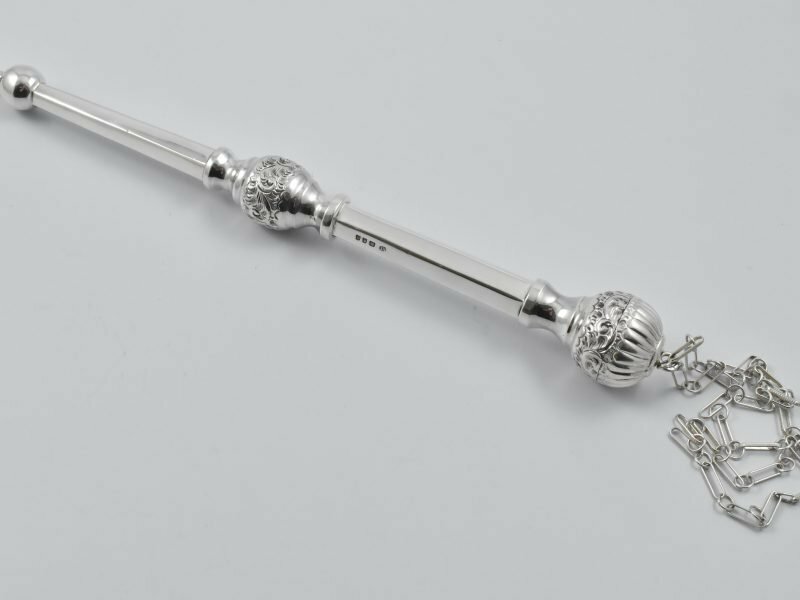 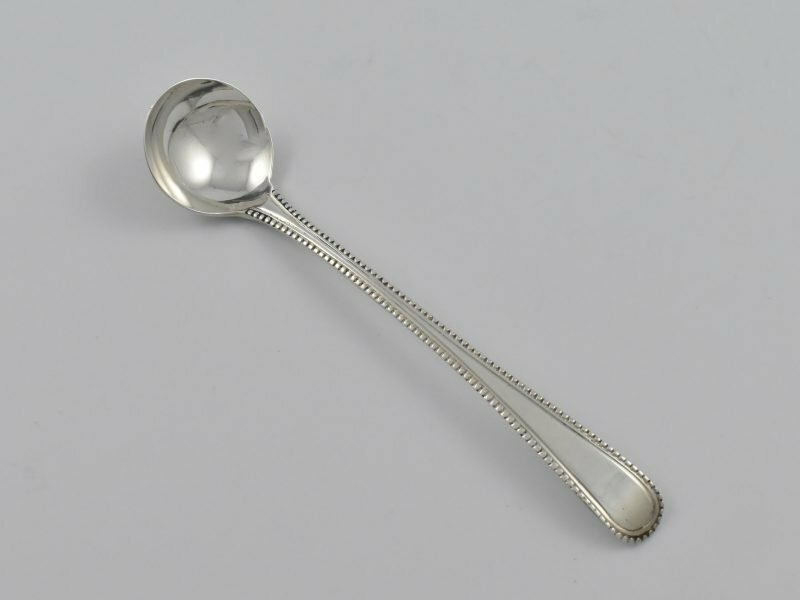 Cape silver salt spoon by John Townsend. 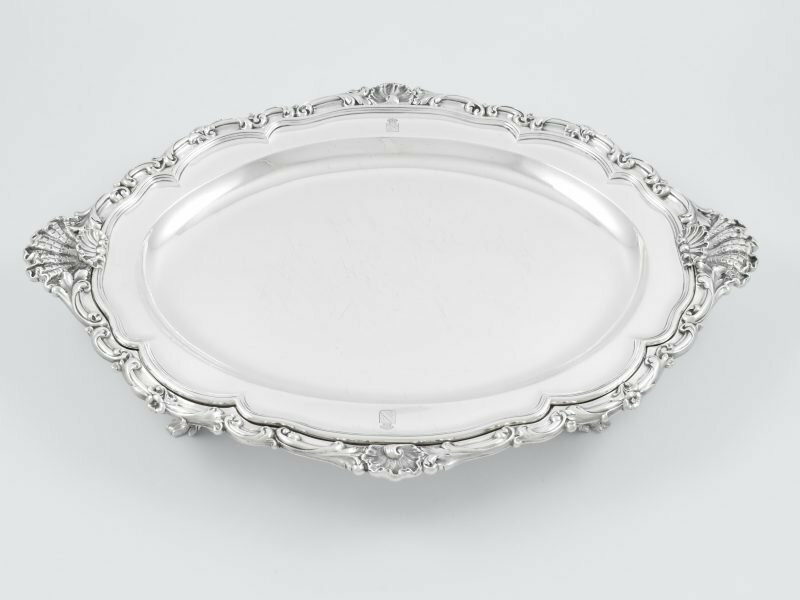 Circa 1825. 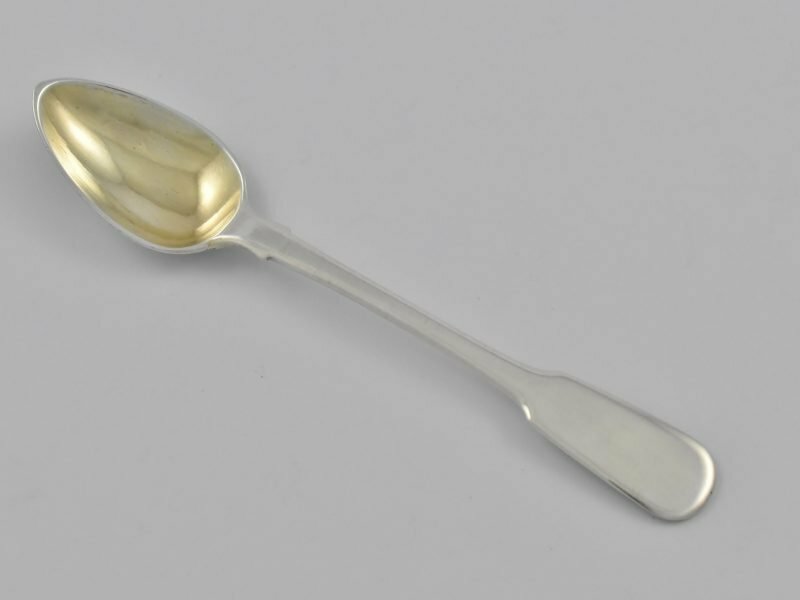 Rare Cape silver Orange spoon by John Townsend. 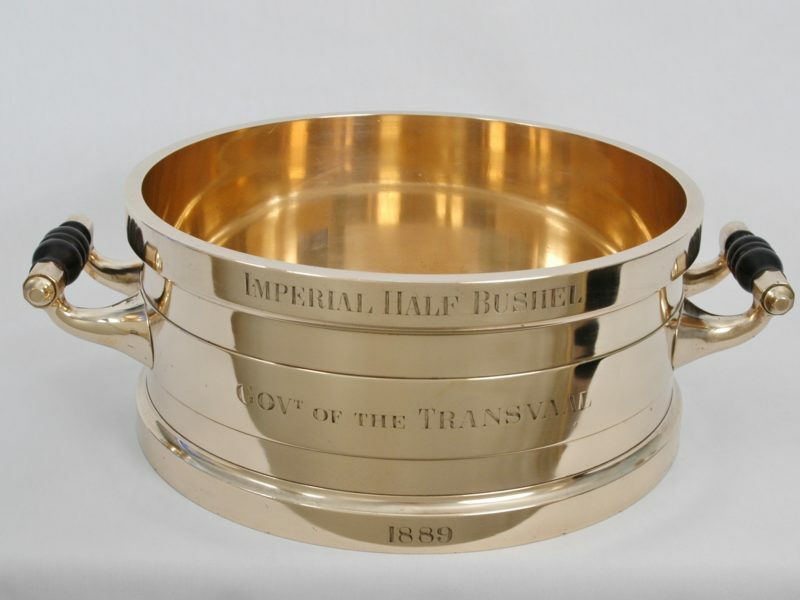 Circa 1825. 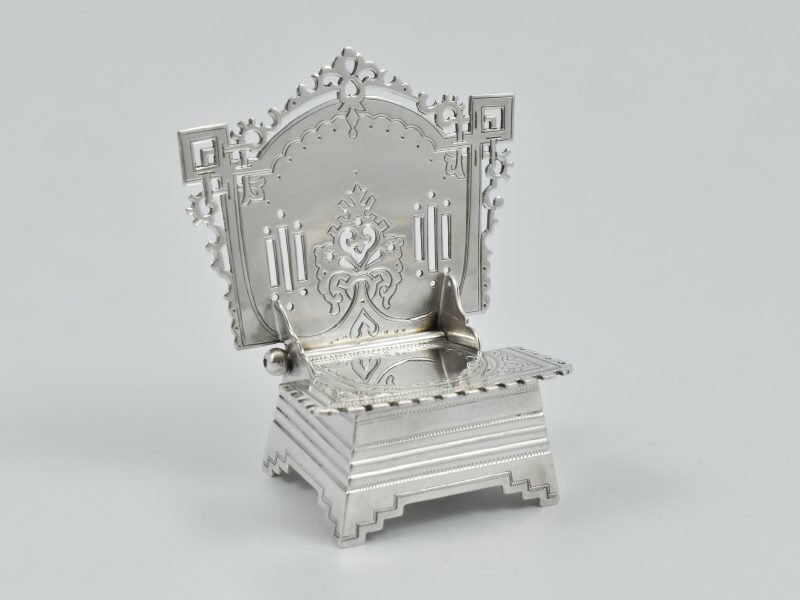 Russian ‘84’ silver Salt Chair by Alexander Fulid (1862-1917) marked for Moscow 1899-1908. 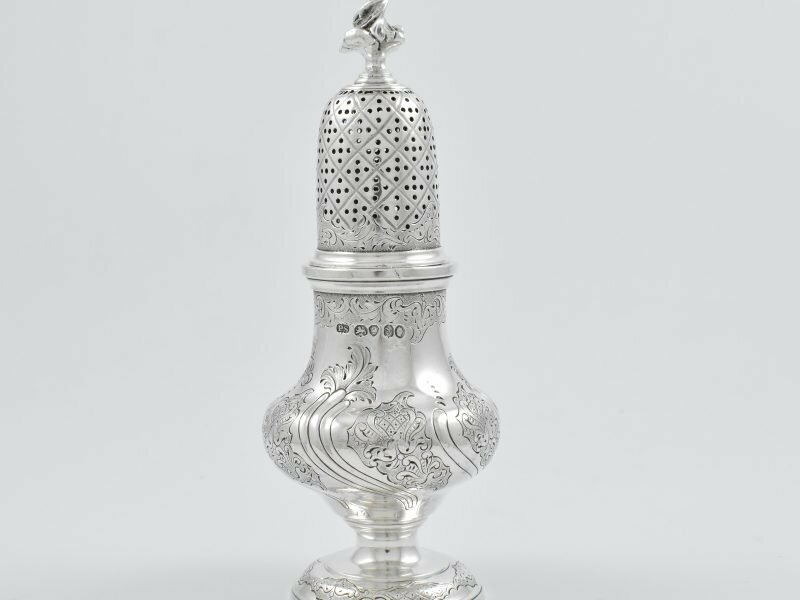 Assay Master- Ivan Lebedkin. 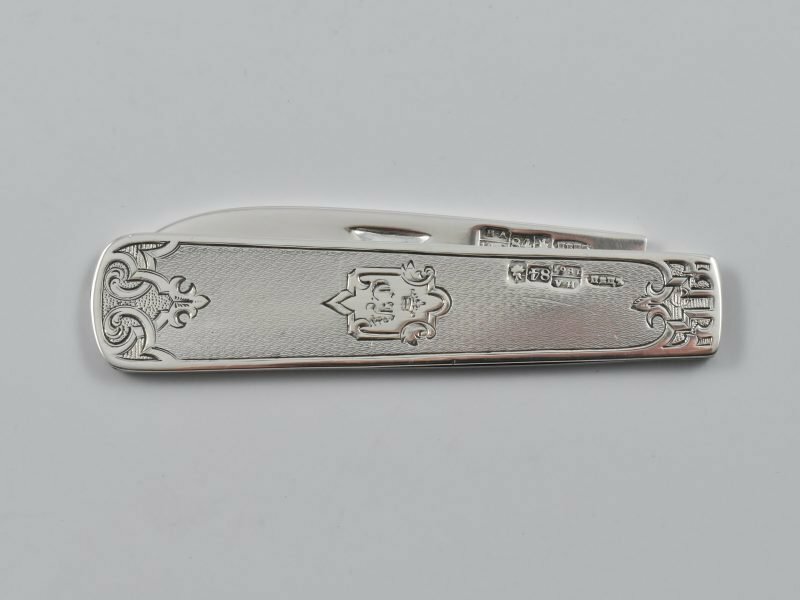 Russian ‘84’ silver folding fruit knife by K.Y. 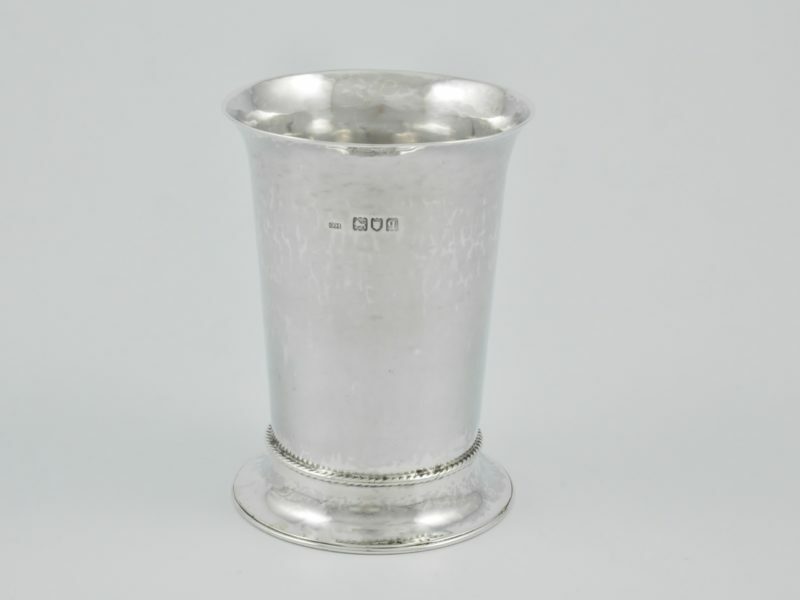 Pyets (1835-1875) marked for Moscow 1861, Assay Master I. Avdyeyev. 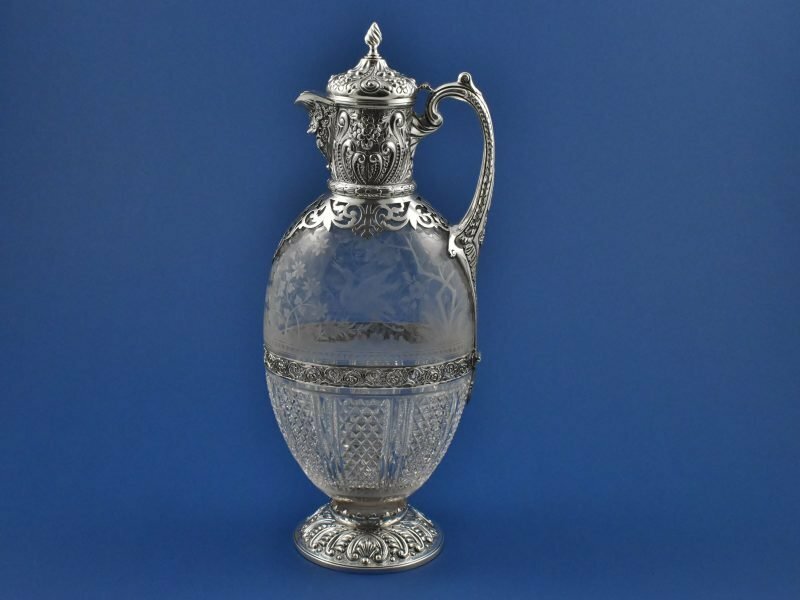 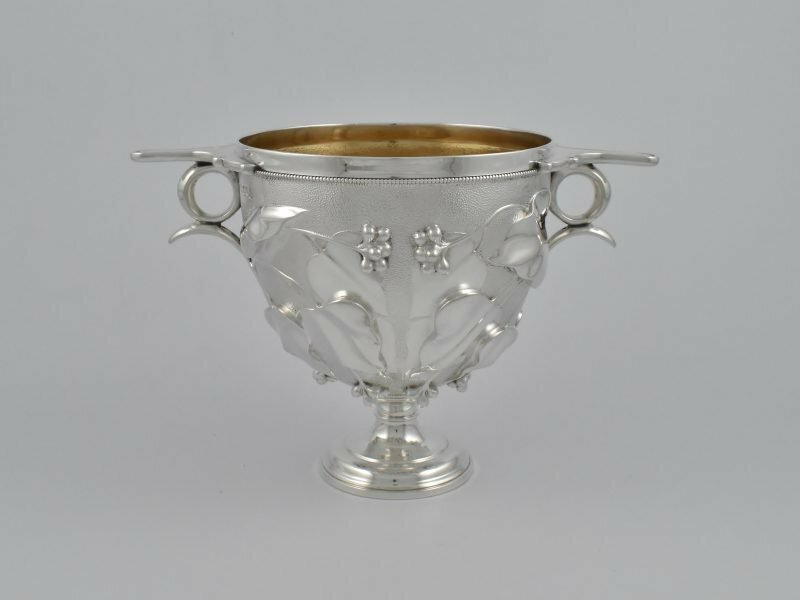 Magnificent George IV silver Chafing dish with removable liner marked for London 1827 by Paul Storr in the rococo revival style. 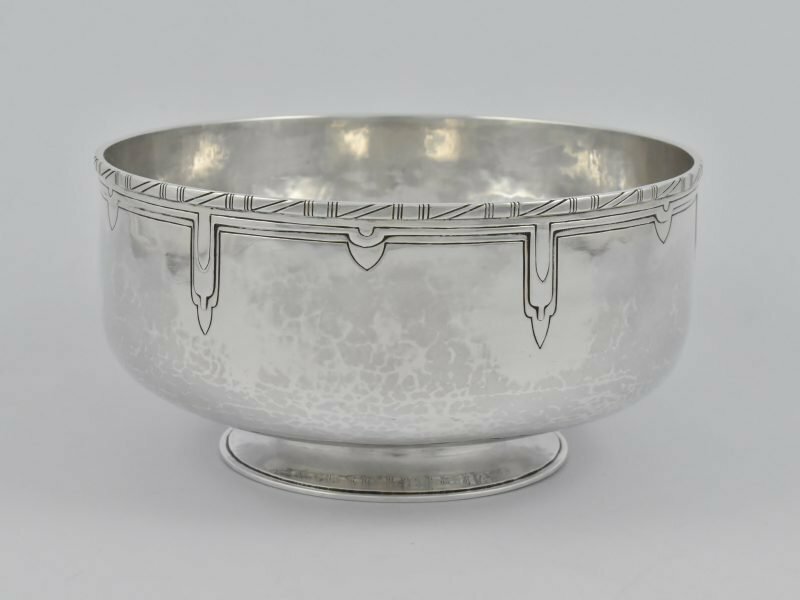 Russian ‘84’ silver sweet bowl marked for Moscow 1908-1926 by Ivan Khlebnikov with Imperial Warrant mark. 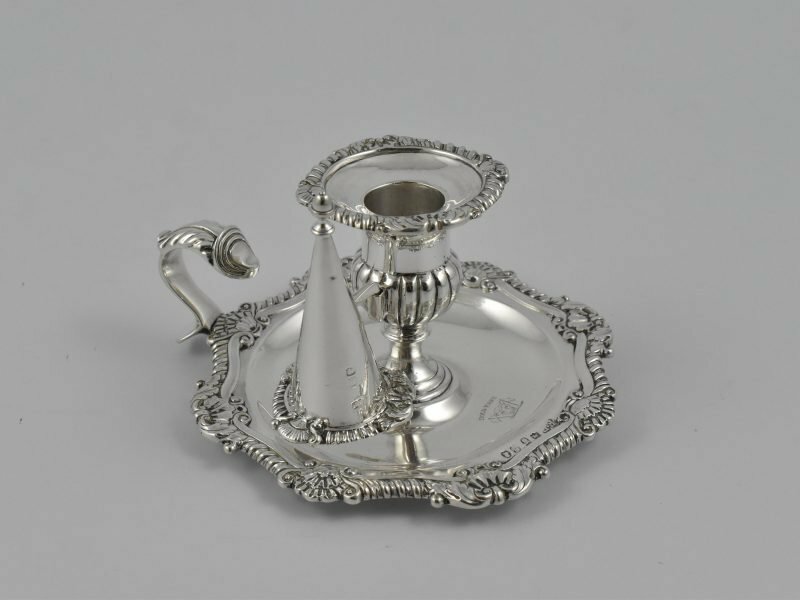 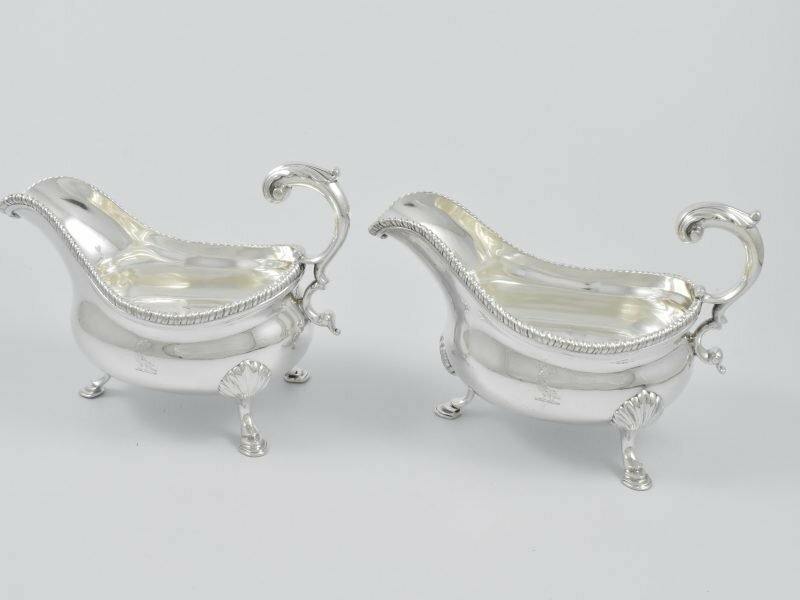 Pair of George III silver gravy boats marked for London 1766 by William Skeen. 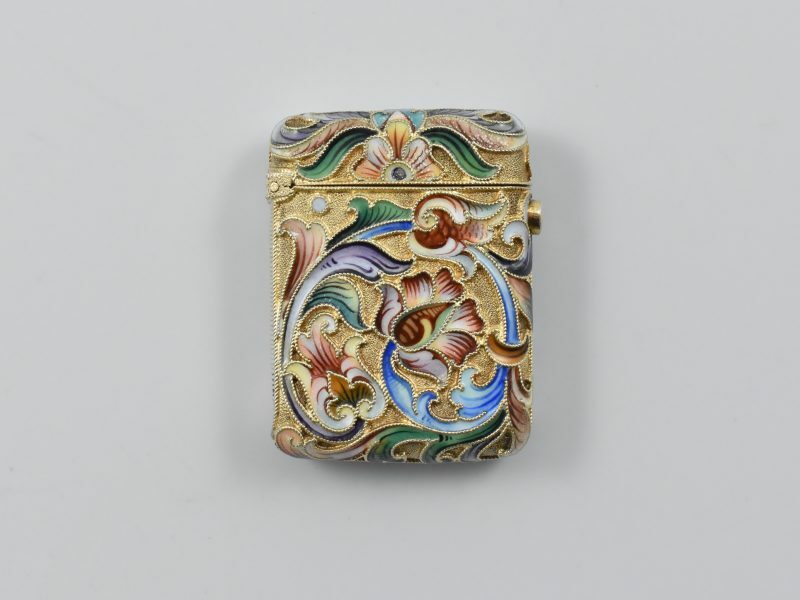 Russian ‘84’ silver gilt and shaded enamel vesta case marked for Moscow 1899-1908. 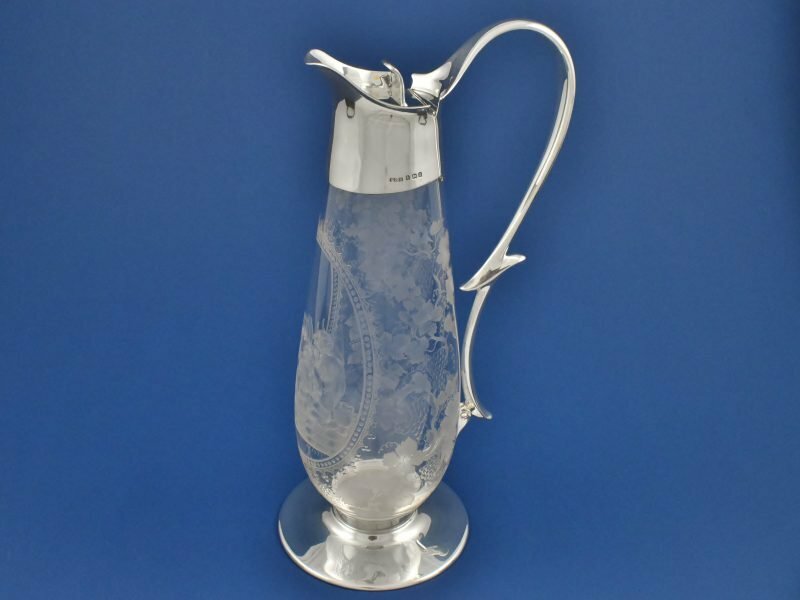 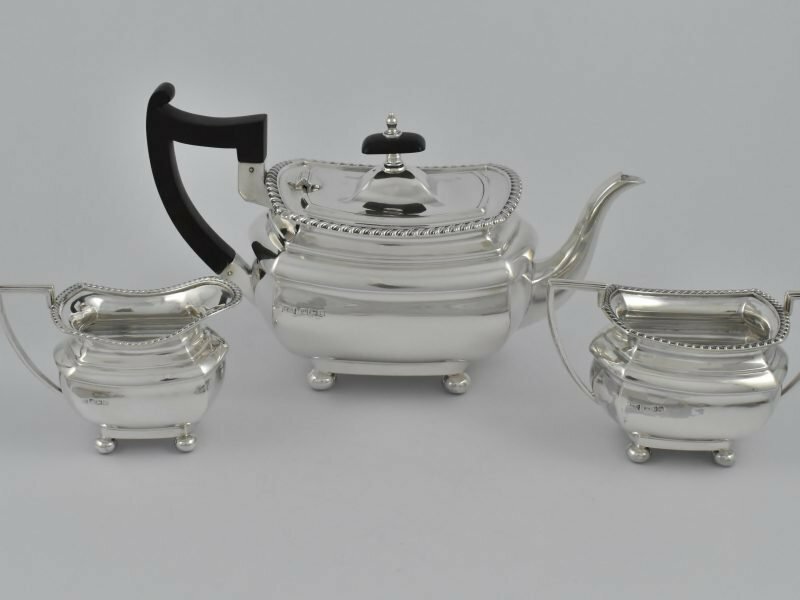 George IV silver three-piece tea set marked for Sheffield 1934/1935 by Walker & Hall. 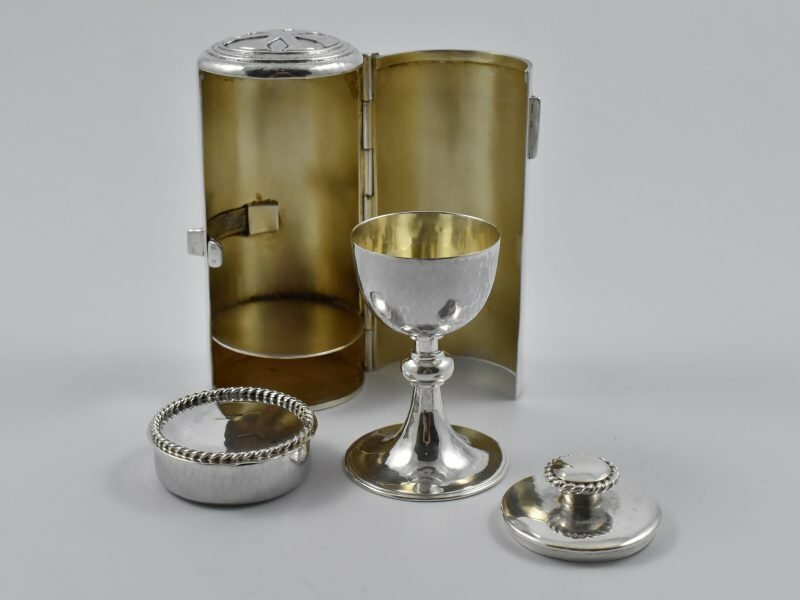 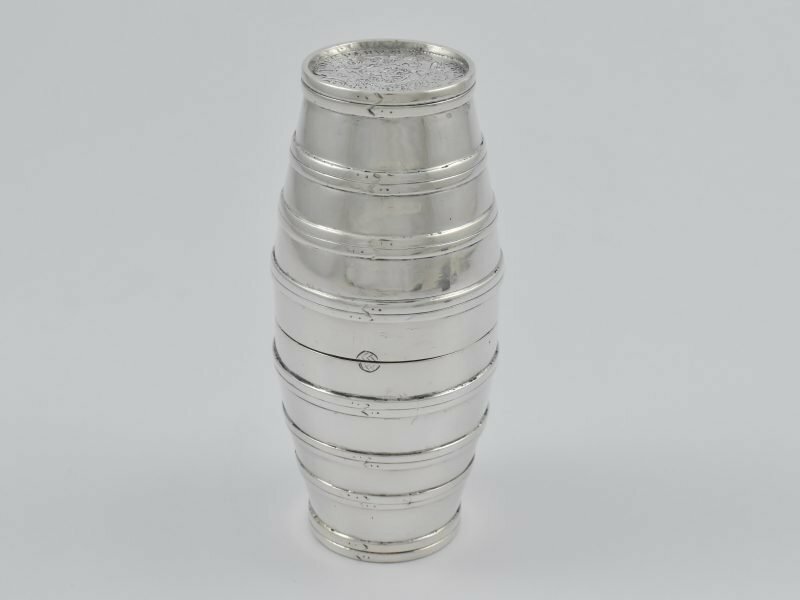 Arts and Crafts silver travelling communion set marked for London 1940 by D. Allen & S. Glaister. 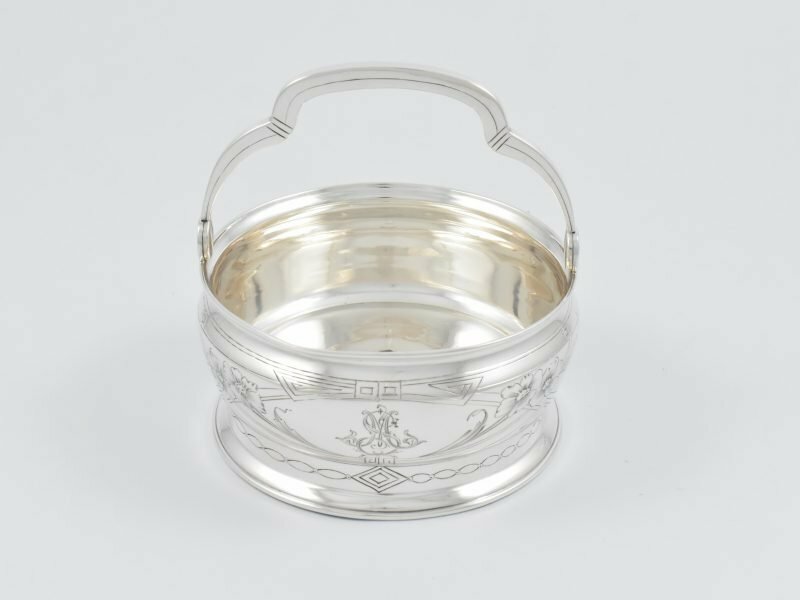 Arts & Crafts silver rose bowl marked for London 1930 by George Henry Hart, Guild of Handicraft. 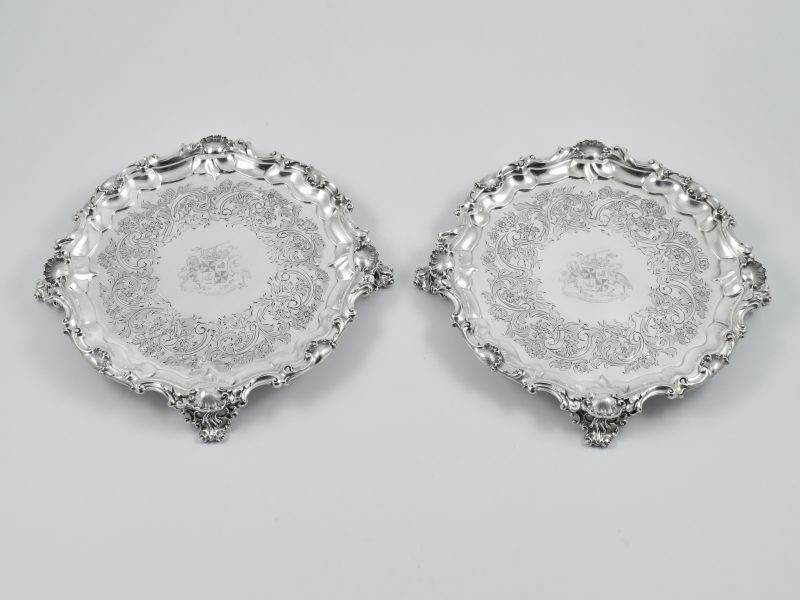 Cased set of six Art Nouveau Continental sterling silver buttons with Import marks for London 1906 and Sponsors mark for Fredericks Ltd.
English George III silver hair comb marked for Birmingham 1808. 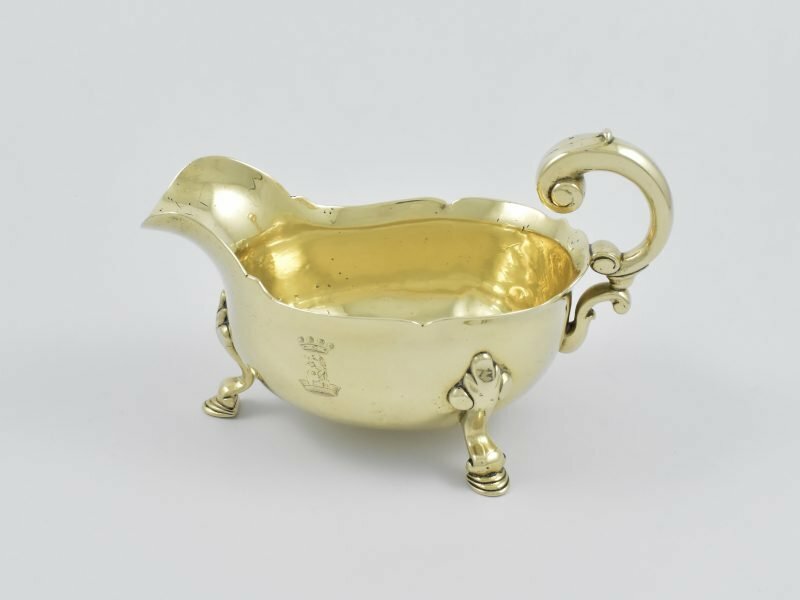 A mid-18th century brass sauceboat of silver form with contemporary crest to the side. 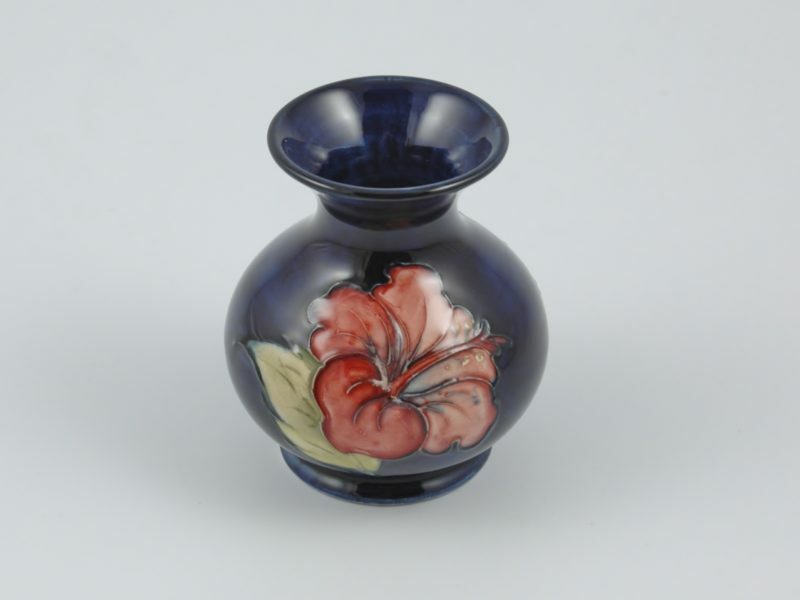 Moorcroft vase ‘Hibiscus’ pattern by Walter Moorcroft. 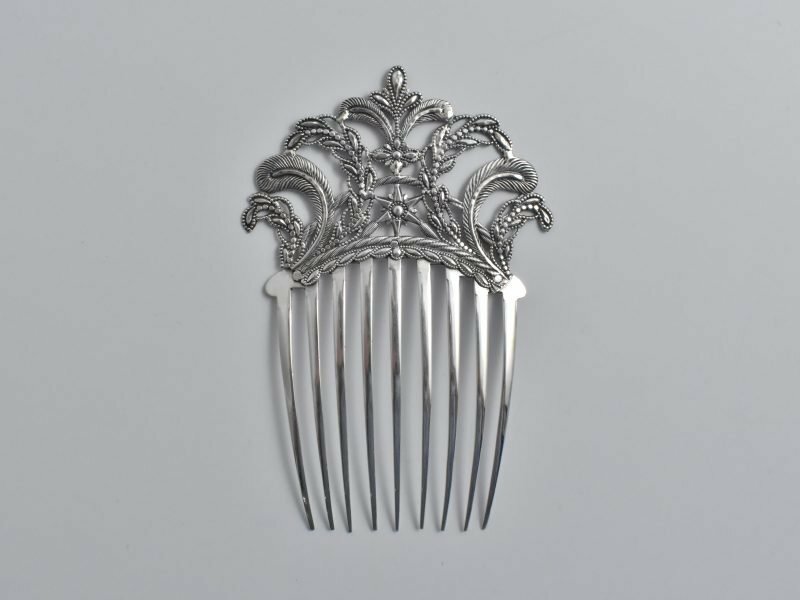 Circa 1953. 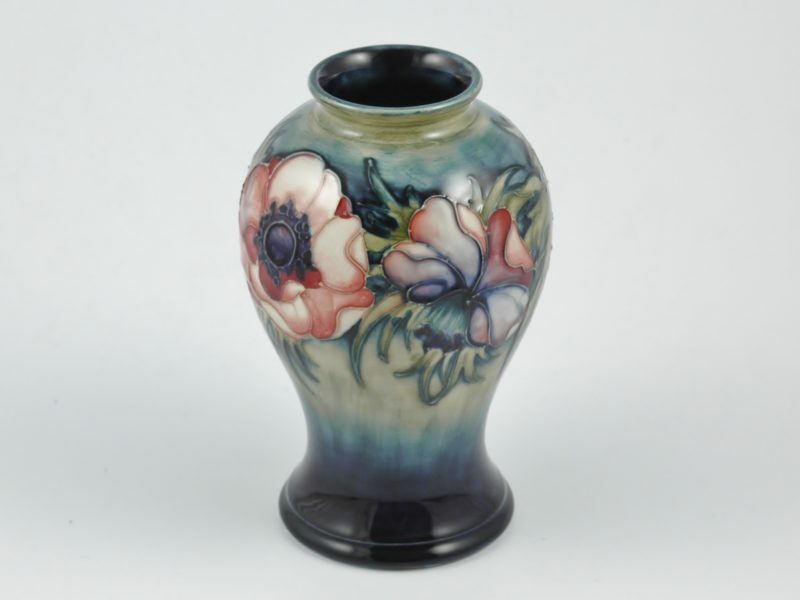 Moorcroft vase ‘Anemone’ pattern by Walter Moorcroft. 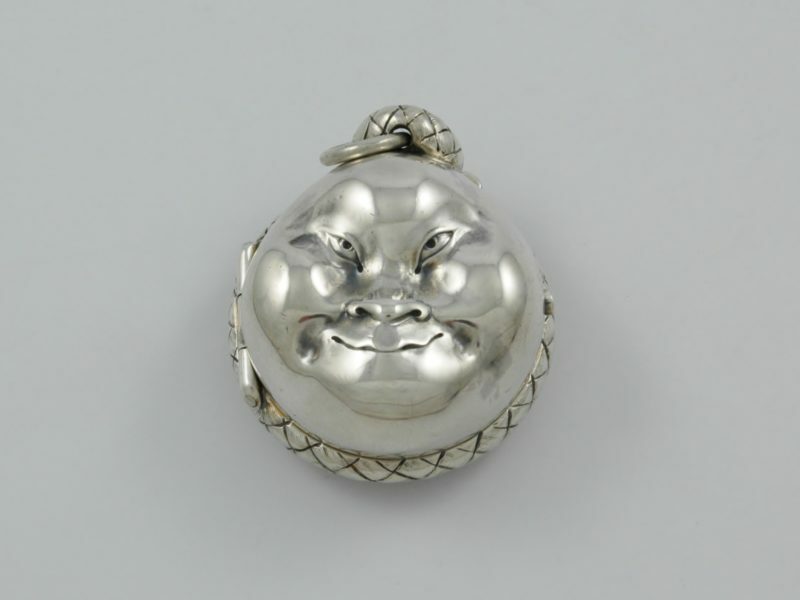 Circa 1945-1949. 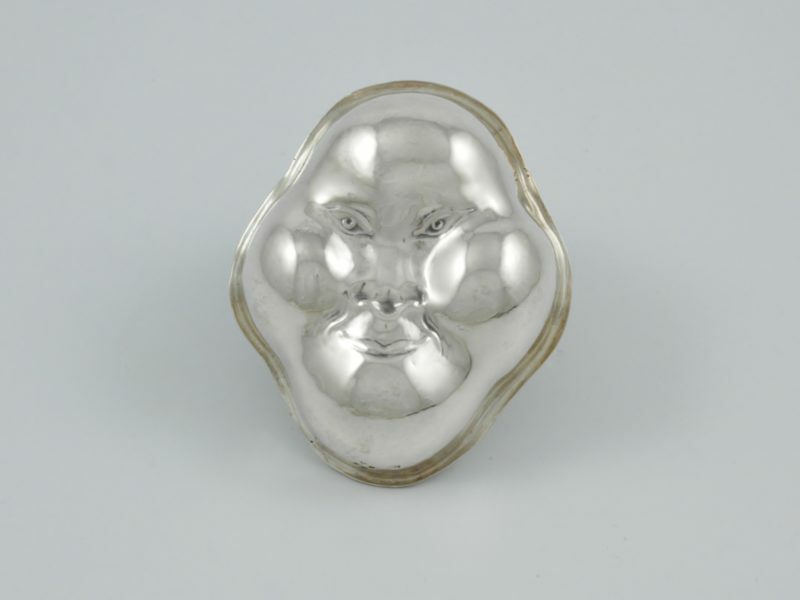 Victorian novelty silver jelly mould in the form of a Japanese Noh mask marked for London 1882 by Louis Dee. 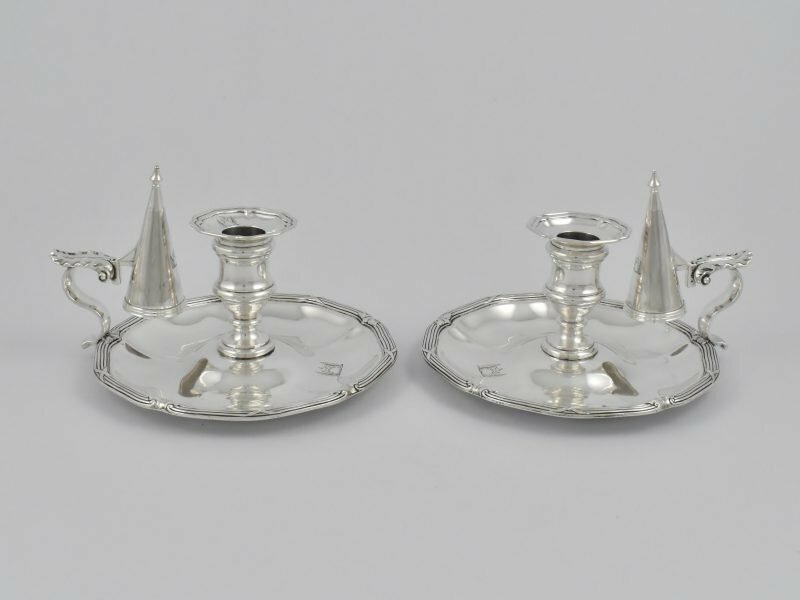 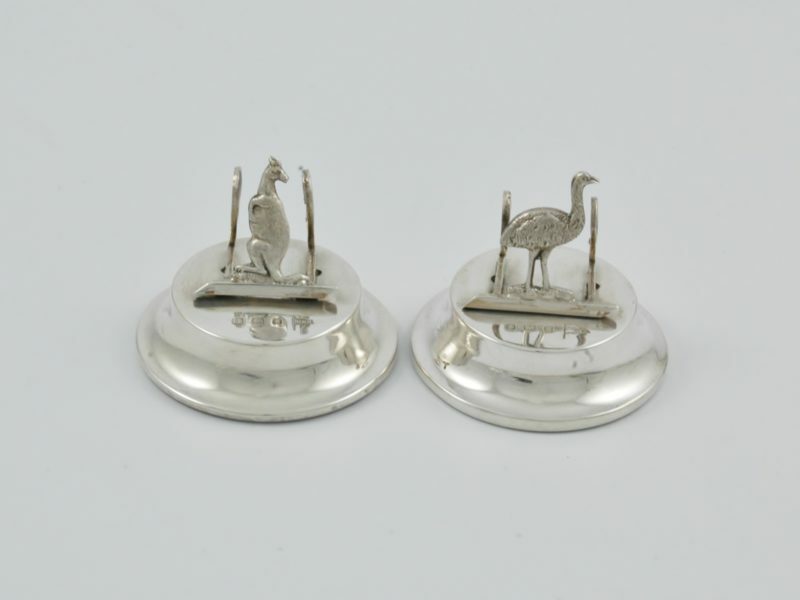 Pair of Edwardian silver menu holders marked for Birmingham 1906, with Australian interest, by Walker & Hall. 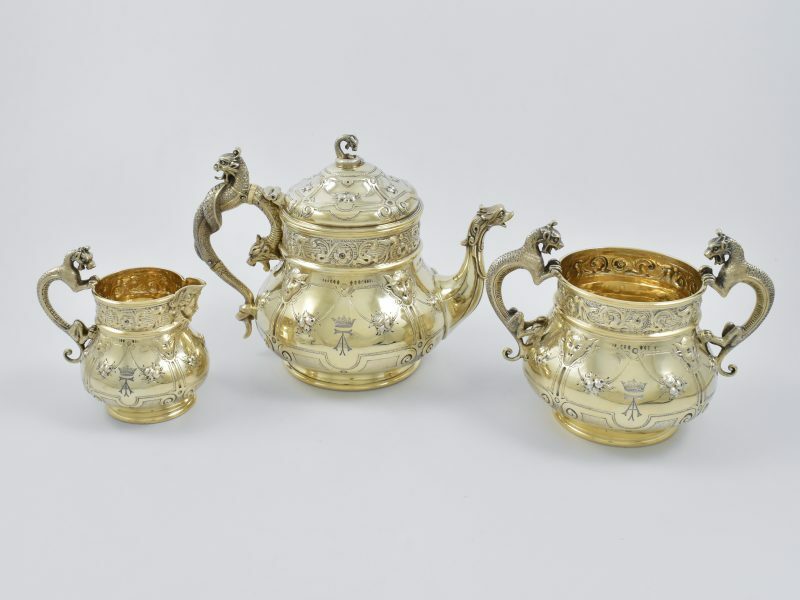 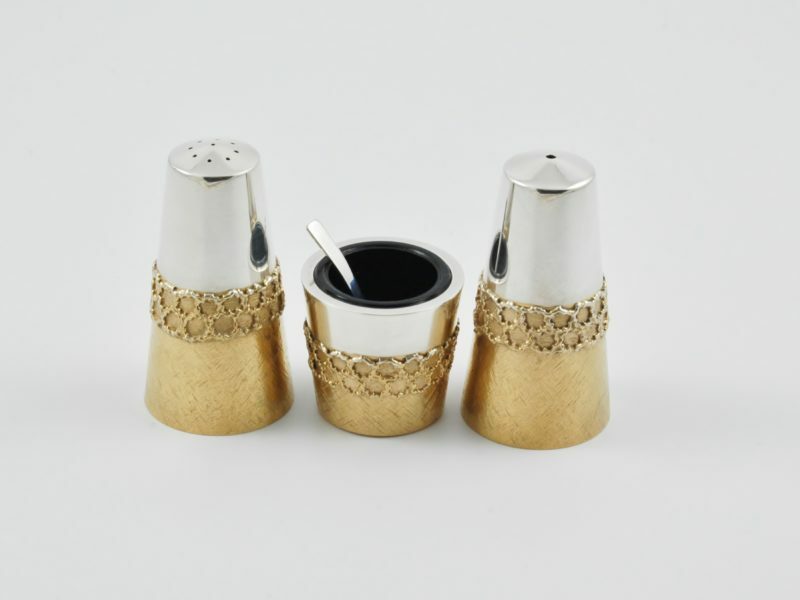 Three piece parcel gilt silver cruet set marked for London 1975 by Stuart Devlin. 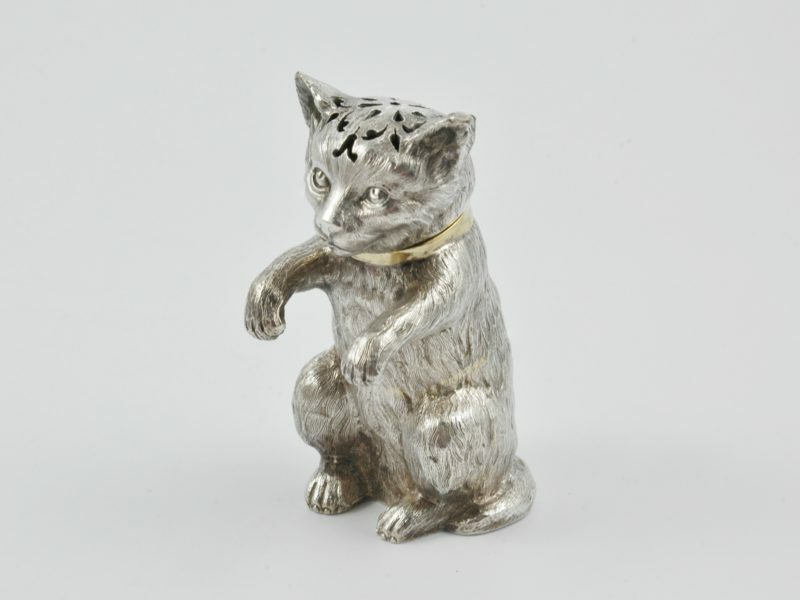 Victorian novelty parcel silver gilt cat pepper marked for London 1875 by Robert Hennell.